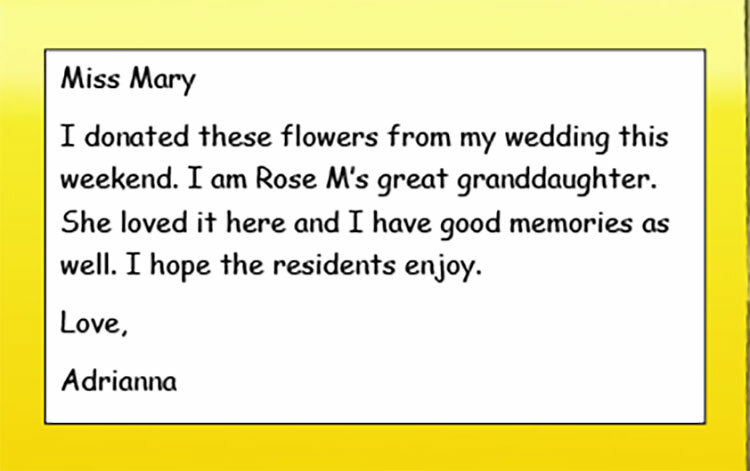 Remembrance from the great granddaughter of one of the original residents of The Marvin who moved to skilled nursing 10 years ago at the age of 99. Thanks so much for all your help for my uncle’s memorial celebration – it was a big success! It was wonderful to meet some of the loving friends and support he has had over the past decade – it truly made me feel he had found “his place” for his remaining years. 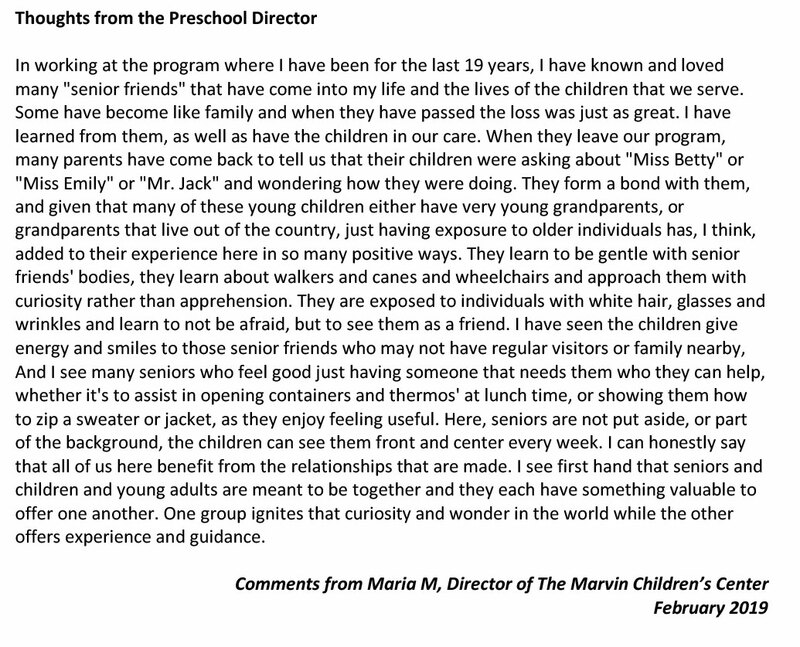 You have a very special place there at The Marvin and I wish you continued success and support for all you do. Many thanks for taking such good care of my Uncle and creating a safe and caring environment for him. Please accept this donation in memory of my uncle from our family. Thank you for everything you did for my grandmother. It was a shock to us all that she passed but she lived a wonderful life of 96 years. She never would have made it this far without the love, friendship and support you all provided her over the years. She was very fond of you all and loved living there. We would often joke because she chose The Marvin over her own family to spend the holidays with. 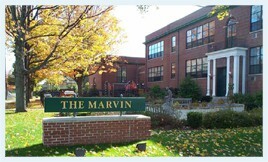 The Marvin was home to my mother, Helen, for 11 years. She entered the Marvin in relatively good health and only needed medication reminders. As the years went by she needed more help with bathing, dressing, meal prep and eventually was checked for safety every two hours. She became more forgetful and confused. 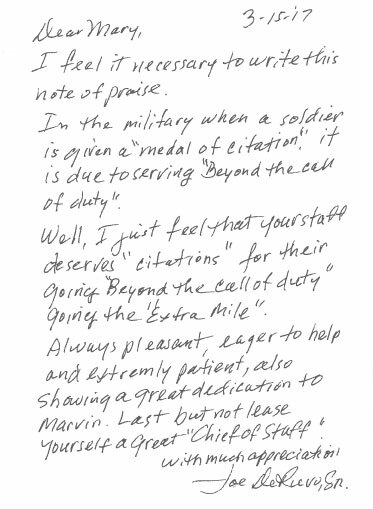 With every new situation The Marvin staff, under the direction of Mary Windt, was extremely helpful. 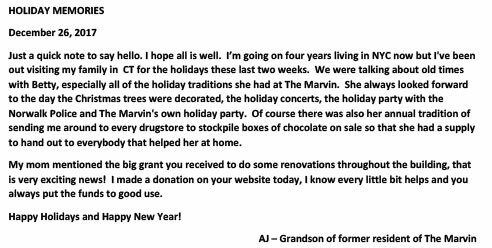 They shared suggestions and offered resources to our family that allowed Helen to remain in her home at The Marvin despite deteriorating health. “Aging in place” is more than a phrase to the staff. 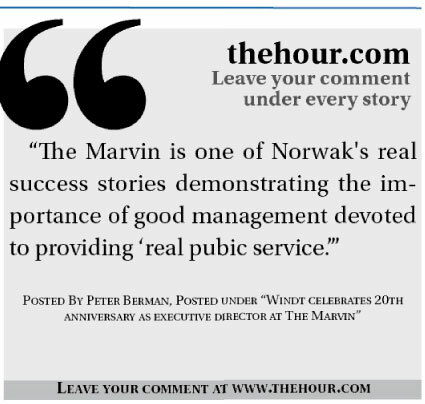 It is a commitment they lovingly make to each Marvin resident and they work hard to make it a reality. The assisted living service at The Marvin is also top notch. 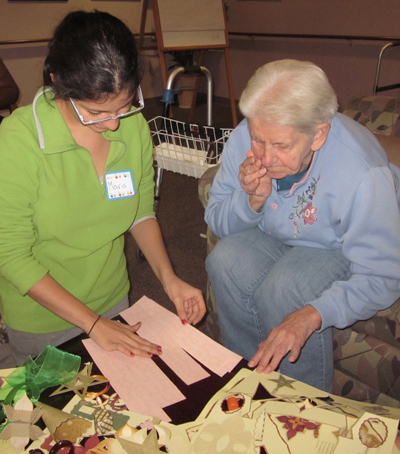 The service employs caring health aides who become very close to the residents. 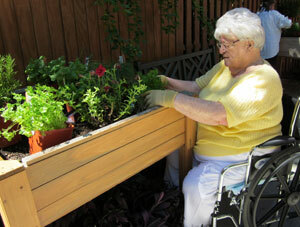 During Helen's time at The Marvin, she had minor illnesses, surgery, major health crises as well as her dementia. The Masonicare nurse considers herself to be on 24/7 duty. She provided outstanding medical care to Helen and was always available to our family to discuss medical situations on the phone or in person. Like the staff, her high level of commitment to the residents is exemplary and not found in all senior living situations.